Almost every single time I talk about accessories i.e. statement necklaces and whatnot, I get feedback from friends about not being comfortable wearing them. Strangely, I used to have that problem but for some reason 'the fear' no longer haunts me. I don't think I did anything drastic or took any classes to acquaint myself to wearing statement necklaces. In a way all it took were multiple attempts at putting them on - some ending up in failures and some in success! And once you're used to having jewels around your neck, it'll come naturally. Very soon, you'll feel like it's something you can't leave home without! Understandably, matching accessories to an outfit properly requires a few tries. But I promise you, it is a lot easier than it sounds. In today's post, I've put together a little how-to on using simple statement pieces to create different looks. The Duchess is a simple enough necklace but two things stand out, in my opinion. One, the rare combination of colours and two, the way the necklace falls and sits on your neck, creating balance and symmetry almost effortlessly. 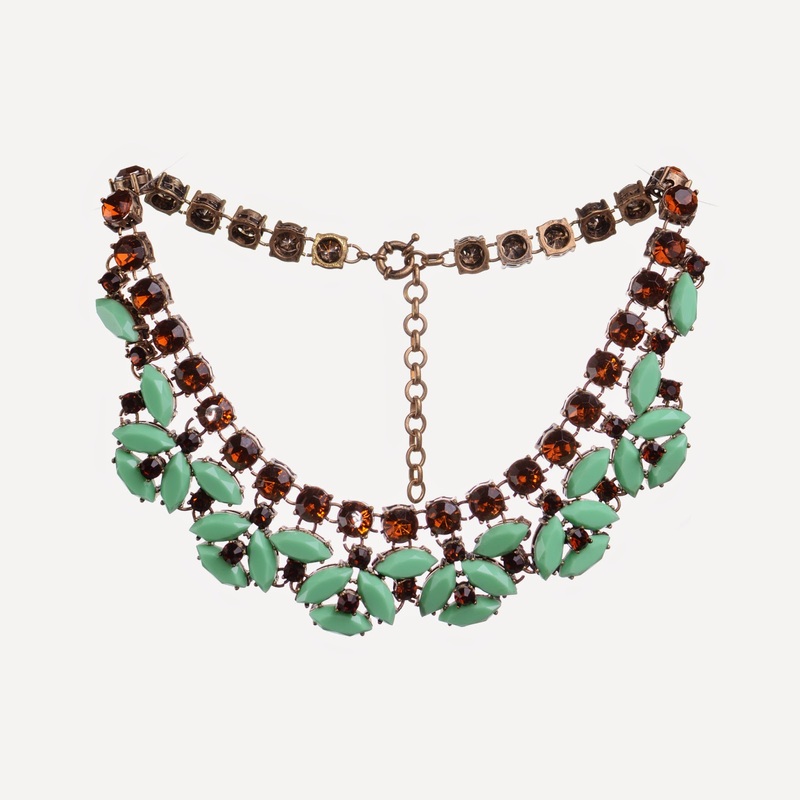 Here, I've used this one necklace to complete three different looks - for evening, the office and one for casual days. Please excuse the wrinkles on my dress. I hope you see what I mean through this picture. If I had my hair up, with more sparkles on both wrists with some rings, the look is complete for an evening out. On the contrary, the same necklace paired with a short dress and flats works too. I can go grocery shopping or sit at a cafe in this and not look like I've overdressed. If you don't feel so comfortable wearing the necklace on the outside, a trick I like using is to wear the necklace under a shirt. This way, less of the necklace is visible. I could also have worn the necklace with a loose shirt and skinny jeans instead - another casual Sunday look. I experimented with layering, to create more drama. Imagine this with a strapless evening dress! The second necklace is China Blue, RM109 (click HERE). They are both really pretty necklaces on their own but I must say that Akito is a really versatile piece. The necklace is an excellent 'anchor' for layering, if you're into that sort of thing. In any case, these two are quite an unlikely combo but I thought I'd do it anyway, just to prove the versatility of the two. Again, I created three different looks but this time - a look for the office, one smart casual ready-for-anything outfit and lastly, one casual look for weekends etc. I layered Akito on top of Luna, because Luna is longer. Also since Luna is flatter, it would sit more comfortably under the chunkier Akito necklace. In a way, I paired the necklaces with any old gray work dress. However, there's one thing I'd like to mention. Chunky necklaces can work to cover up a lower neckline (situational). In this case, I think the bulk of the necklaces take away or cover up the bare neck I would have had if I did not have them on. Okay, I am clearly overusing this white jacket. Never mind. You might or might not have noticed that this ensemble would otherwise be quite boring. The necklaces add a subtle pop of colour to match the shoes to the outfit. I think the outfit sans necklaces looks a bit drab. Maybe less formal, less finished, less polished? And finally, with a t-shirt and shorts! I don't think this requires any more explanation. 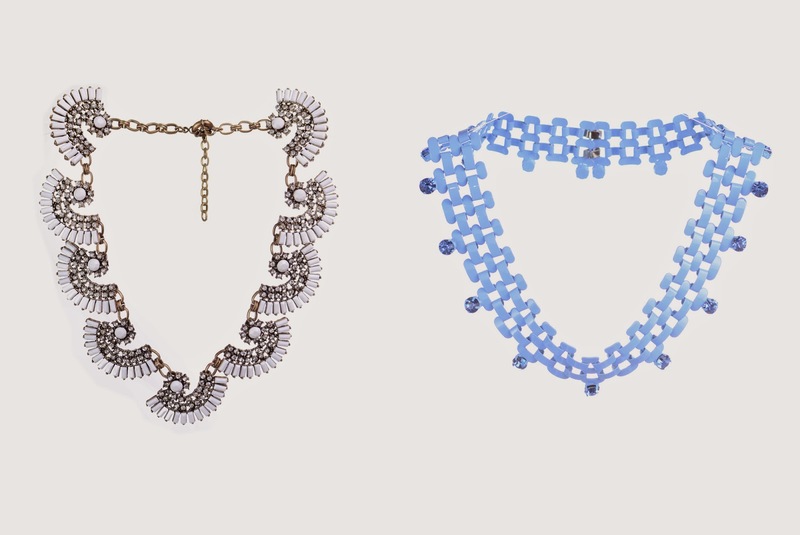 A super easy way to experiment with jewelry is to match the shape of the jewelry to the shape and height of your collar. Round neck t-shirts are very forgiving. 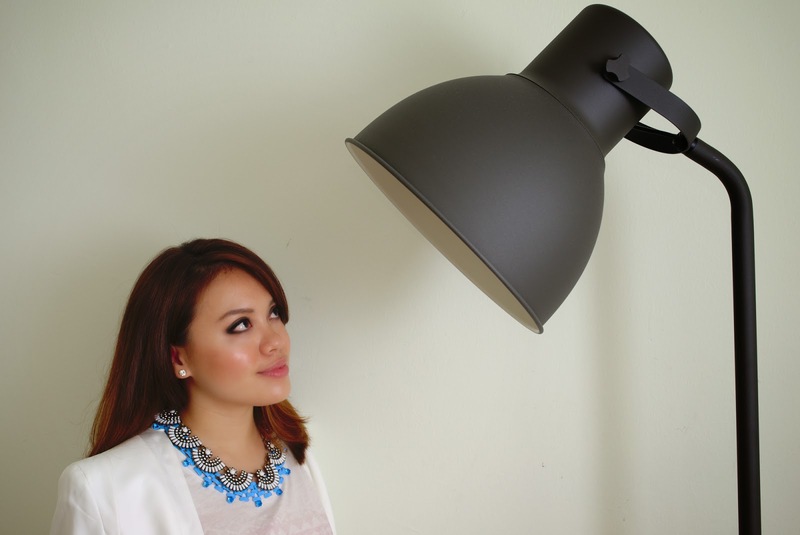 Try with basic colours like black, white or gray, especially if you're working with funky coloured necklaces. 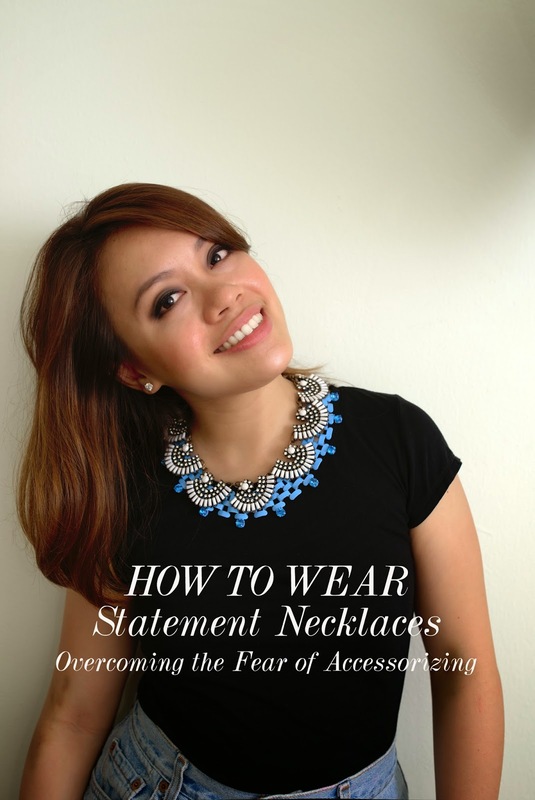 I hope I've inspired you to experiment a little more with statement necklaces and such. Lord knows it's time this country sees more neck parties on our very pretty Malaysian girls!